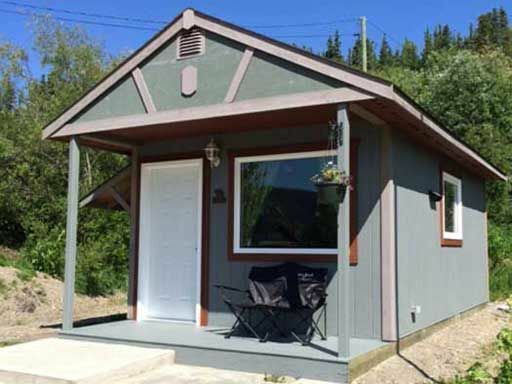 The Silvermoon Bunkhouse is in the heart of some of the Yukon's most accessible scenic mountain trails. Walk, run or mountain bike for hours on end. 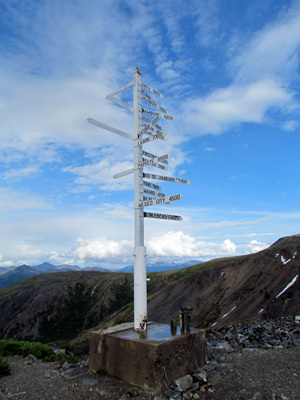 The winter offers unparalleled snowmobiling, skiing, skijouring and fat-tire biking. 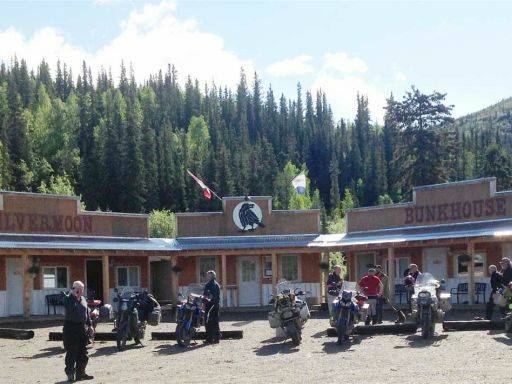 Located in the historic mining town of Keno City, Yukon, the Silvermoon Bunkhouse offers a unique accommodation experience. 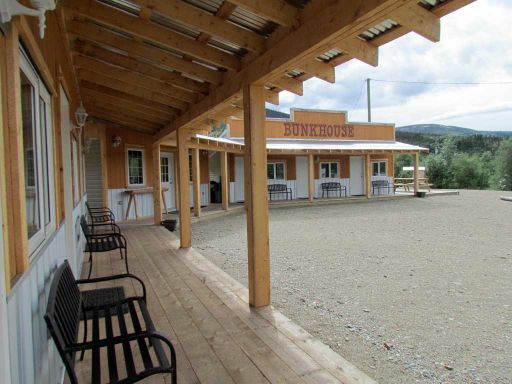 The centrally located kitchen and dining facilites make it ideal for groups up to a maximum of 12. 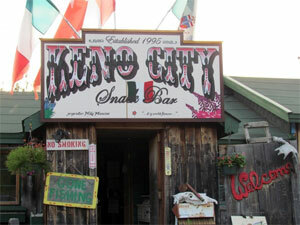 Keno City is a magical place that lies "at the end of the road." Dirk Rentmeister first arrived in the Keno Elsa Calumet area as a child in 1964 and lived there for 25 years. He spent his childhood going to school in Elsa, and playing in the great outdoors. Later, and like his father before him, Dirk spent many years working underground for United Keno Hill Mines Ltd. Both the mine and the town of Elsa came to a screeching halt on January 7, 1989. 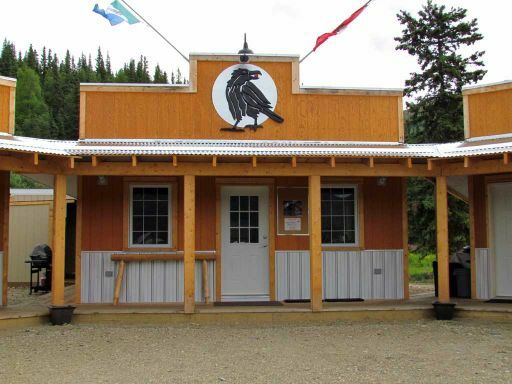 The town of Elsa was evacuated, and Keno City puttered along: a "town" of colourful 5 per cent characters that to this day contribute to the unique attributes of this small community. 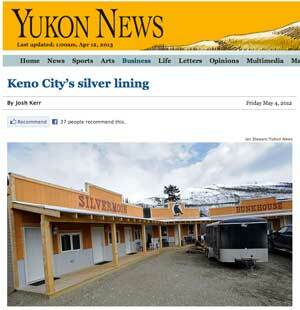 Like so many others looking for employment, Dirk left Elsa and Keno City when the mine closed. 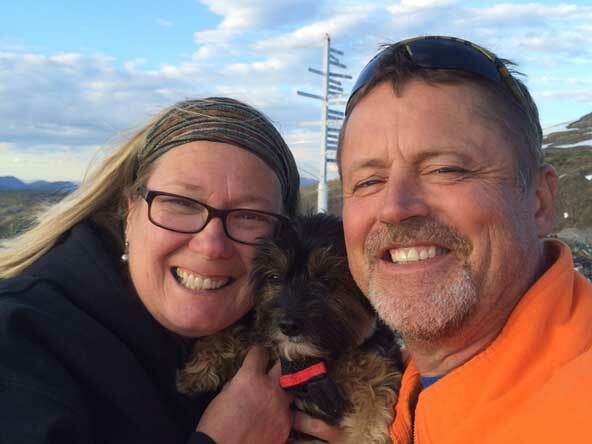 It wasn't until Dirk met his bride to be, Tracy, in 1993, that he – with Tracy by his side – returned to Keno City.